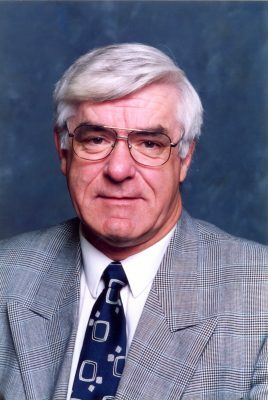 Tom Miller is sometimes called " Mr. Hockey in St. James" He became the founding president of The St.James Canucks of the MMJHL in 1978-79 and he is still in the job. They also call him the general manager, fund raiser and team psychologist. Tom always thought area players deserved to have the opportunity to play and while he could have had stronger teams by bringing in players from outside the area he has stayed true to their original idea. It is said that Tom once went into surgery with fundraising tickets taped to his chest so the doctor had to buy them before the operation began.